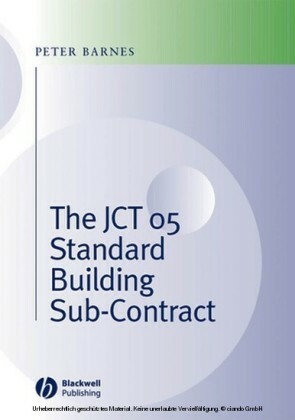 Although the majority of construction work these days is carried out by sub-contractors, there are surprisingly few books dealing with building sub-contracts and the related law. This book provides a much welcomed guide to the new 2005 JCT Standard Building Sub-Contract (SBCSub and SBCSub/D), which is likely to be the regular sub-contract form used by contractors when letting works under the radically revised 2005 JCT Standard Building Contract. Peter Barnes, who has over 30 years' experience of contractor/sub-contractor relationships, provides a clause by clause commentary on the sub-contract, highlighting practical issues and considering relevant case law. 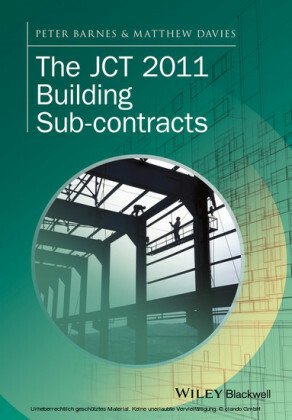 The book will be of interest not only to sub-contractors and main contractors, but also to other construction professionals and lawyers who need an understanding of the contractual relationship and allocation of risk between contractors and sub-contractors. The Author Peter Barnes MSc (Construction Law and Arbitration), DipICArb, FCIOB, FCIArb, MRICS, is a Chartered Arbitrator, a registered adjudicator and a CIArb trained mediator. He has been actively involved in the construction industry for almost 30 years and has a wide experience of many types of construction work, including building (both new build and refurbishment), civil engineering, and mechanical and electrical installations. He spent many years working for main contractors, undertaking both surveying and management roles, and during that time he has administered and settled a multitude of sub-contract accounts on a variety of different contracts. His experience with sub-contracts covers both simple and complex contracts and has involved detailed examination of contractual entitlements. His practical background has led to an in-depth understanding of the allocation of risks in contractor/sub-contractor relationships. Since becoming a consultant, Peter Barnes has represented many parties in both adjudications and arbitrations, has acted as an expert witness in respect of both liability and quantum, and has been appointed as adjudicator by both the Chartered Institute of Arbitrators and the Construction Industry Council. His wide experience base has led to him being appointed to the committees of the Chartered Institute of Building Eastern Branch, the Chartered Institute of Arbitrators East Anglia Branch, and the Institution of Civil Engineering Surveyors Anglia and Central Branch. 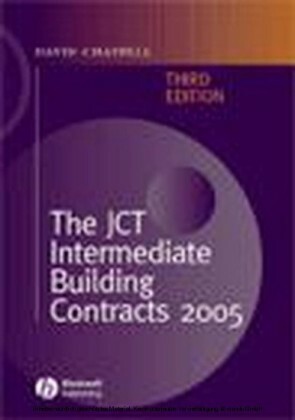 Also of Interest The Law & Management of Building Subcontracts Second Edition John McGuinness 1 4051 6102 7 978 14051 6102 2 The JCT Intermediate Building Contracts Third Edition David Chappell 1 4051 4049 6 978 14051 4049 2 The JCT Minor Works Building Contracts 2005 Fourth Edition David Chappell 1 4051 5271 0 978 14051 5271 6 The NEC 3 Engineering and Construction Contract Second Edition Brian Eggleston 0 6320 5386 0 978 06320 5386 5 Building Contract Casebook Fourth Edition Michael Furmston 1 4051 1881 4 978 14051 1881 1 One Hundred and Fifty Contractual Problems and their Solutions Second Edition Roger Knowles 1 4051 2070 3 978 14051 2070 8 Cover design by Workhaus Peter Barnes MSc (Construction Law and Arbitration), FCIOB, FCIArb, MRICS, MICE, is a Chartered Arbitrator, a registered Adjudicator and an accredited Mediator. He has been actively involved in the construction industry for over 30 years and has a wide experience of many types of construction work. 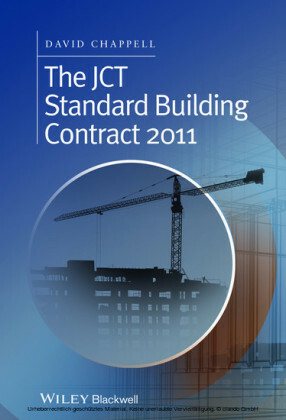 He spent many years working for main contractors, undertaking both surveying and management roles, and during that time he administered and settled a multitude of sub-contract accounts on a variety of different contracts. Since becoming a consultant, he has represented many parties in both adjudications and arbitrations, and has been appointed as adjudicator by both the Chartered Institute of Arbitrators and the Construction Industry Council. 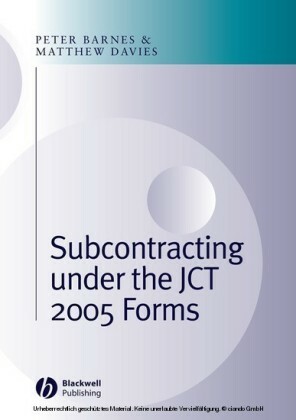 He is co-author of the book titled, 'Subcontracting Under the JCT 2005 Forms'.